Though people in economic trouble may be aware that they have options involving bankruptcy, they may be unsure exactly what bankruptcy is and what the purposes of the bankruptcy process are. Bankruptcy is a procedure where a court gives certain protections to people so they can reorganize their finances, get rid of debts they cannot afford to pay, and take the time to pay back debts they can afford. At John T. Turco & Associates, we help people in Nebraska and Iowa file for bankruptcy, but perhaps more importantly, we help them understand their options and make informed decisions. Contact us at our offices in Omaha to schedule a free, in-depth consultation with one of our knowledgeable bankruptcy attorneys. In old England, there were no bankruptcy laws. Instead, there were debtors’ prisons. People who could not pay their debts were thrown in jail. When our founders set up a new, independent system of government in America, they decided that this was no way to do things. The United States Constitution gives Congress the authority to establish bankruptcy courts, recognizing the importance the founders placed on bankruptcy protection. Economic progress is based on people’s willingness to take risks and invest in opportunities that might or might not work out. The founders wisely anticipated that people would be more willing to take risks knowing that bankruptcy protection was available, and the benefits of economic growth would outweigh the cost to some creditors. Many people ask whether bankruptcy is immoral if it means that you are not paying back all of your debts. Everyone has their own moral beliefs, but you should consider your beliefs in light of the specific position you are in. The bankruptcy laws are not designed for people who can afford to pay their debts and just don’t want to. They are designed for people who had every intention of paying their debts when they signed up for them but now find themselves unable to do so. If the money isn’t there, you can’t pay it back. 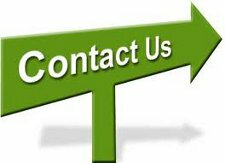 We would be happy to talk to you further about the history of bankruptcy, the importance of bankruptcy protection and what type of bankruptcy you qualify for. To consult with an experienced bankruptcy lawyer, contact us today.